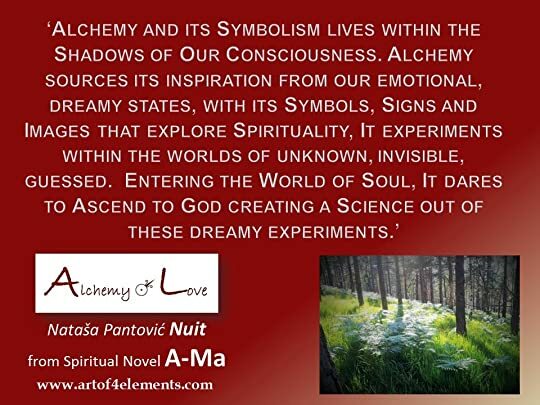 Nataša Nuit Pantović's Blog - Posts Tagged "inspirational"
The beauty and wisdom of alchemy is immense transforming a soul into its highest potential. Explore the true story, the most amazing spiritual and life journey into the Field of Dreams, an adoption journey of a single mum with her spiritual poetry of four elements, four directions, four stages of Life. In an interview Nuit says: "My soul is the one of a nomad and I learn tremendously every time when in a different country. Travelling through Christian, Buddhist, Muslim or Hindu countries often as a single woman or without a lot of money helped me see that we are all One in our search for God, Oneness, Inspiration, Beauty." 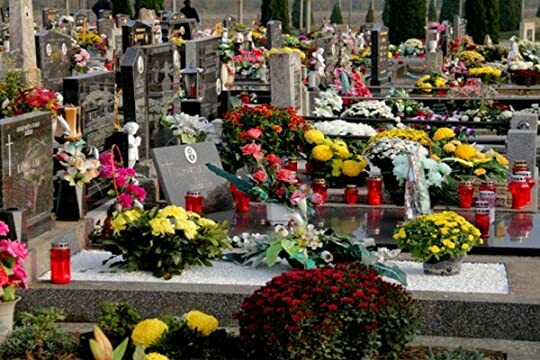 Within her novel Tree of Life she says: "It is not what we as souls do in life right at this particular moment of time materialized within this particular space, but what would we have done if God has given us a completely different set of circumstances. What is our soul’s yearning, and do we live it authentically living our Highest Potential as Human Beings? If we were born as Raskolnikov living within the story of Crime and Punishment, would we kill that Dostoyevsky’s grand-mum, you must have heard of his internal dialogue?" 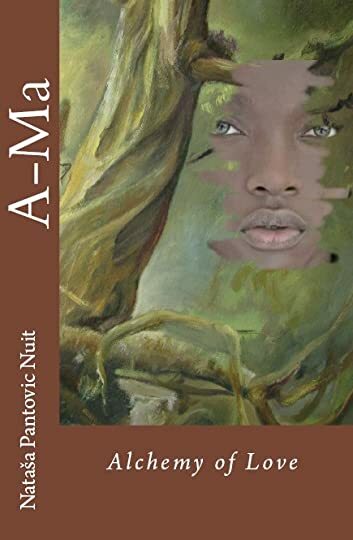 This is Nuit's second novel. The first one is A-Ma a historical spiritual fiction book set in the 17th century China exploring Western and Eastern Philosophy with the subject of alchemy of soul: "Within A-Ma we follow insights and subtle energy battles within lives of a group of enlightened souls who understood the prime importance for West and East wisdom sharing." Within the Tree of Life our journey takes us in to Scotland, Findhorn, a spiritual group that during the last 40 years experimented with more enlightened community living. It is an eco-village that is one of the largest intentional communities in Britain. It is 50 years since three friends moved to a caravan in Moray, after listening to their "inner voices". Read this journey from Serbia to Cambridge to Maltese temples, from Nairobi to Addis Abeba in Ethiopia. 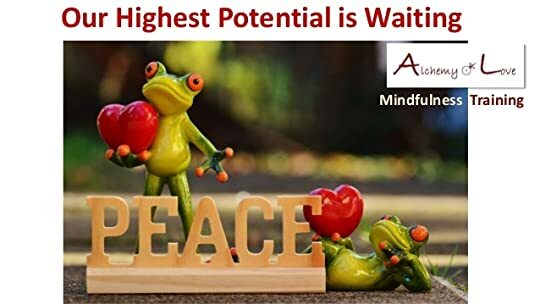 Visit Lamu in Kenya full of rich drug addicts, find out why Nuit chose to define the humanity’s strongest limiting belief as: “We need suffering to grow” while she was in a high executive business workshop. Find out what happens when your country collapses, when you stay without your soul-mate and when your soul’s quest is against your life path! 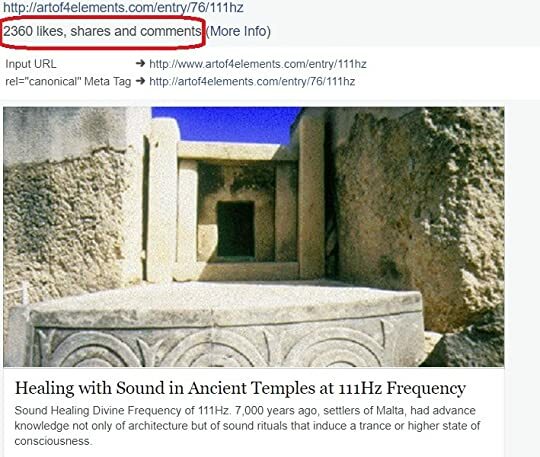 How to listen to inner messages that at times feel completely irrational? This book is a journey that starts as an invitation to a Tantric Ball within the Field of Dreams. 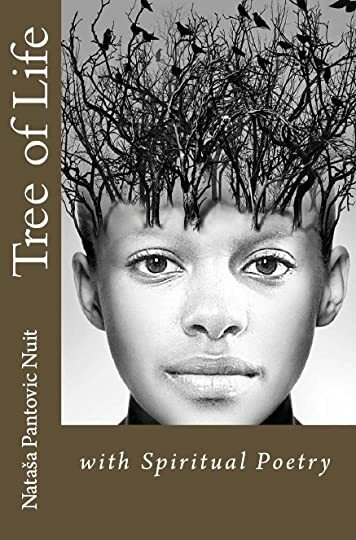 The Tree of Life is a true story of a person following an inner voice discovering the true goals, and entering the path of parenting, as a single mum adopting two kids from Ethiopia. 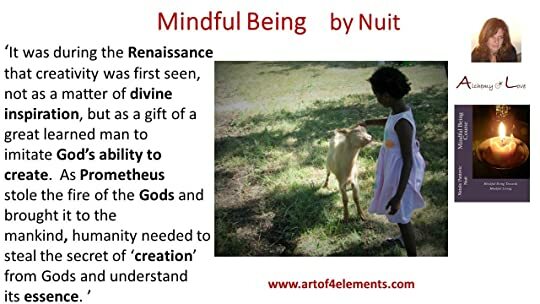 Interview with Nuit about the 9th book from Alchemy of Love Mindfulness Training Series, Ama Spiritual Historical Fiction Book set in the 17th Century China. Q: Could you list 3-5 tips on how readers can practice and/or achieve love mindfulness. What’s most important in their quest? 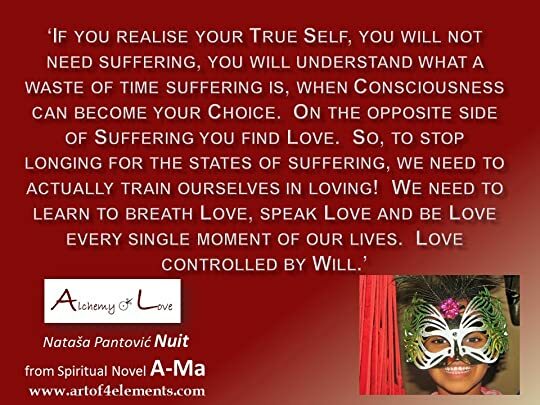 Nataša Nuit Pantović: We all have a wish to live our highest potential and with a conscious effort we can learn to listen to our Souls. 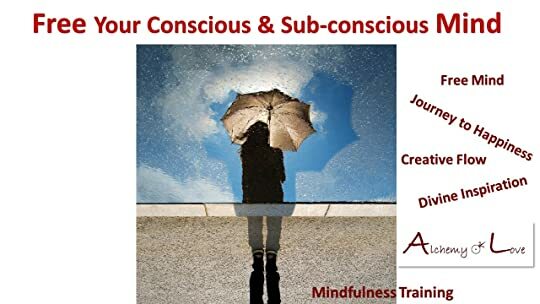 Mindfulness is a Spiritual Transformation Tool that works with Mind Training and it just cannot be compared with any 'fast food' recipe, or quick 'out of the box' enjoyment technique. 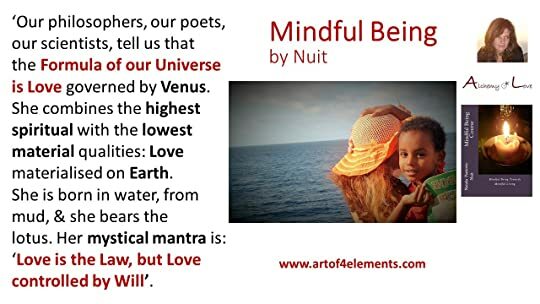 Learn from the elements, from water the vastness of Blue, “Allowing oneself to Be in Silence, to Be with Nature, explore various Spiritual Exercises,…, respecting each unique Being, our Mother Earth and our amazing Matrix of Causes and Effects.” Nuit (Mindful Being quote). We waste tremendous time and energy with all the technology gadgets. I have never had a TV or a mobile phone, and I use my Internet only to work, does this fact resonate with you? 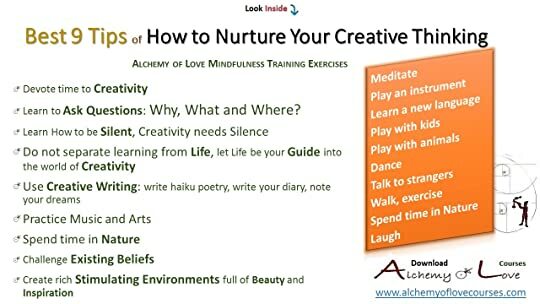 Can you imagine the amount of creative time you would gain if you would learn how to “control” your technology addictions and focus on creativity, love, relationships? According to the theory of left-brain or right-brain dominance, the brain's hemispheres are associated with two distinct functions. A person who is ‘left-brained’ is logical, and analytical, while a person who is ‘right-brained’ is intuitive, thoughtful and creative..
Can TV, radio, Internet or Music kill more of the neurons they stimulate? And why are we so attracted to this most amazing form of expression? "Our philosophers, our poets, our scientists, all, tell us that the formula of the Universe is Love, governed by Venus. She combines the highest spiritual with the lowest material qualities - Love materialized on Earth. She is born in water, from mud, and she bears the lotus. Her mystical mantra is: ‘Love is the law, but Love controlled by Will’." 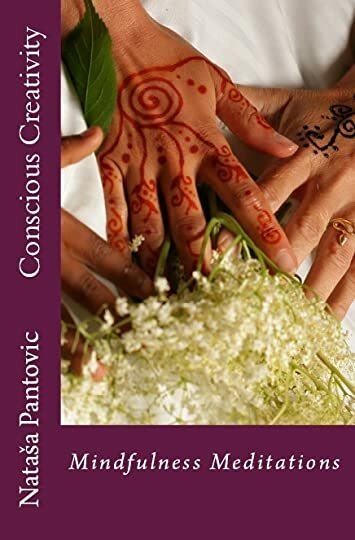 Read the full book excerpt on the Nataša Pantović Publisher Blog What is Unconditional Love? Learning mindfulness brings into one's Life the quality of: Awareness, Awake-fullness, Alertness. It brings into one's Life a possibility to experience Life fully, a possibility to listen to one's Soul, a possibility to tune into the Flow of the Energy of Tao, Energy of Divine Life Force..."